It sounds like such a lovely weekend, JoAnn! LOL at book fairs! Happy Thanksgiving! Thanks for sharing your Turkey - so cute! Happy Thanksgiving! Your 7-year-old niece is grateful for book fairs?!? That makes me so happy. Happy Thanksgiving!!! That is an AWESOME turkey! lol I hope you and your family have a WONDERFUL holiday weekend. Happy Thanksgiving!! I hope you have an awesome time with your family. 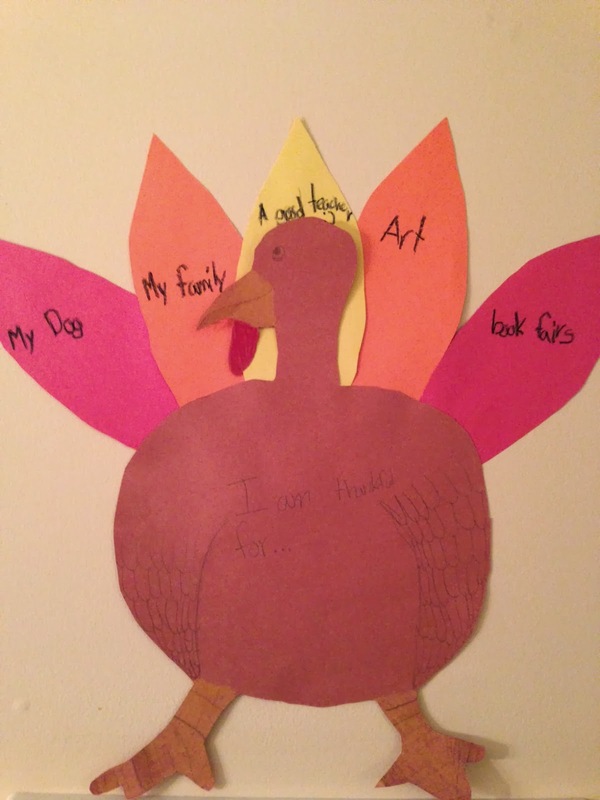 Love your niece's turkey and the things she's thankful for...she's a smart one! Have a Happy Thanksgiving, Joann. It sounds like you have a full house and some great plans. Enjoy! Gobble, gobble! Oh, JoAnn. How fortunate are you to have everyone with you. Enjoy! Enjoy! Enjoy! Happy Thanksgiving, JoAnn - wishing you a wonderful day and lots of leftovers. Happy Thanksgiving JoAnn! Enjoy the weekend with your family! How sweet! Hope your Thanksgiving was wonderful! It sounds like you were in for a busy holiday. I hope you had a wonderful time with your family JoAnn. I love that turkey!! Smart girl :) Hope you had a great turkey day.